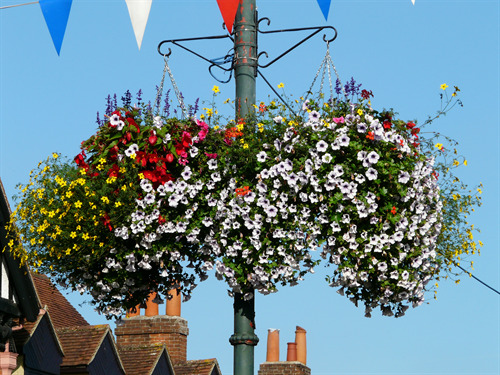 Henley in Bloom is a sub-committee of the Henley-on-Thames Town Council’s Recreation and Amenities Committee. Our budget is mainly funded by sponsorship but for the previous two years we received extra funding from the Town Council to help cover the additional costs associated with entering the National Britain in Bloom competition. Our committee is made up of Town Councillors, Gardening Buddies and representatives of other community groups such as the Allotments Association. We work alongside many community groups, including Henley in Transition and Henley Wildlife Group, to help maintain a beautiful and sustainable town and create new events and features for residents and tourists to enjoy for years to come. From working with local schools and businesses to holding competitions and community planting schemes, our work covers the whole town and is inclusive to anyone with an interest in keeping Henley clean, welcoming and attractive. In 2017 Henley in Bloom are celebrating Bees! In the past few years bees have experienced substantial declines. There were 27 species of bees in the UK and 3 of those species are now extinct with many others under threat. What can Henley in Bloom do? We are encouraging everyone in the town – from the people who buy our baskets to our garden competition entries to grow pollinator-friendly plants as organically as possible. By using our celebration beds at Mill Meadows to raise awareness and by supporting the Badgemore School Bee Keeping Project as well as providing people with pollinator friendly plant seeds we can make a change in our corner of the world. We also fully support the local Brakspear Honey Bee Beer campaign in partnership with Friends of the Earth. 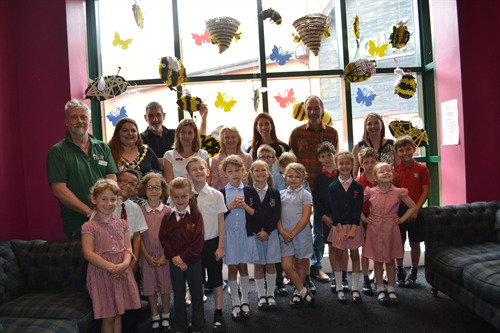 Some of the Year 2 pupils who attended the showing of 'Bee Movie' at the Regal Picturehouses. If you have any ideas on how we can celebrate bees or would like to be involved please contact bloom@henleytowncouncil.gov.uk for more information. 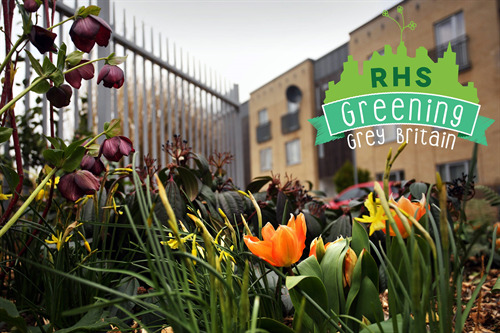 The RHS Britain in Bloom theme this year is ‘Greening Grey Britain’ and Henley in Bloom are taking that on board. You will notice our displays all over town. From our green wall at Mill Meadows around the corner from our Queen Elizabeth birthday celebration beds to our new Gardening Buddies bed and the fantastically establishing roundabout on Reading Road. We are trying to make Henley less grey and more green. As a committee we are tackling the town’s grot-spots, but we need help. We need people to take pride in their street scene and do what they can, like these residents in Wyndale Close in the town centre. We would love to hear more about resident’s ideas and help them achieve their goals. We would like residents to come to us with their ideas of what we should be doing to ‘green Henley.’ We were so impressed with Joseph and Rhian Nicholson’s green roof when they showed us but we didn’t expect it to become Henley in Bloom’s most viewed and shared tweet ever! Henley needs more of these initiatives, particularly as we face issues with air quality. For a copy of the Henley in Bloom Portfolio for 2016 please click here. Judging for Henley in Bloom took place on Thursday 14th July 2016. • Purchase a hanging basket, or donate and we can hang a basket in your name. 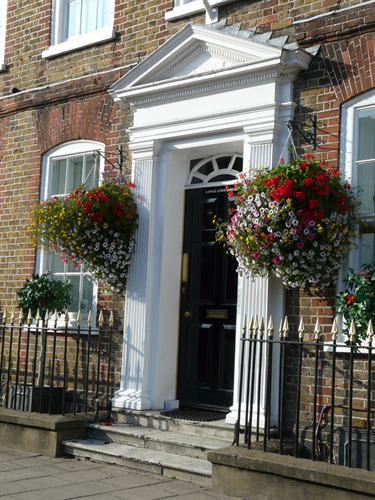 • Request to join the Henley in Bloom committee or attend our meetings. • Join the Gardening Buddies mailing list and attend when available. • Donate to the Henley in Bloom funds for community projects. • Sponsor one of our planters or flowerbeds. • Suggest or participate in a community project. Our main sponsors are or have included Toad Hall Garden Centre, Higgs Group, Henley Standard, Southern Plant & Tool Hire, Manning UK, Chiltern House Business Centre, Delegate Office and Business Services, Davis Tate, First Great Western, Hotel du Vin, Bridge Care Homes, St Mary’s Preparatory School and Nursery and Brakspear Brewery. All these organisations have been involved in helping us create an environment in Henley to be proud of.